The flower girl has a really important role to play in a wedding and she too must look the part. 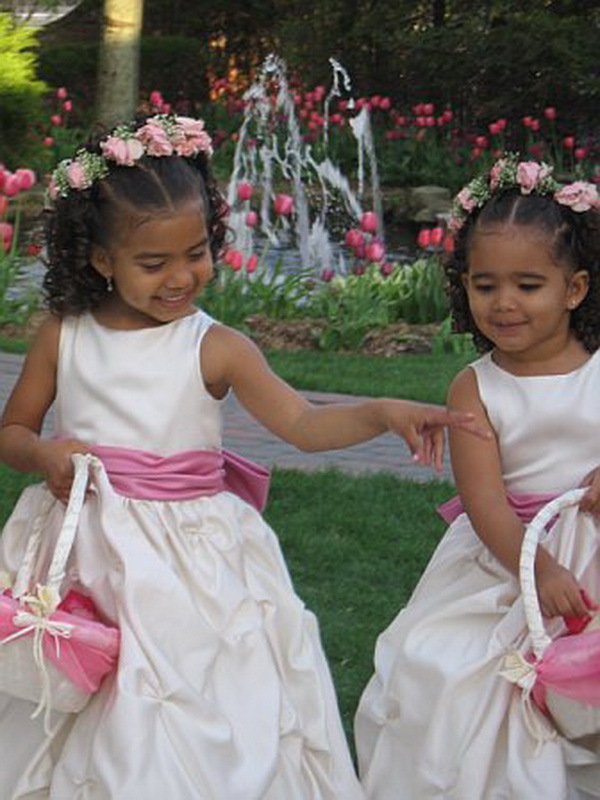 Luckily there are many different hairstyles for flower girl looks and below we have shared some with you. 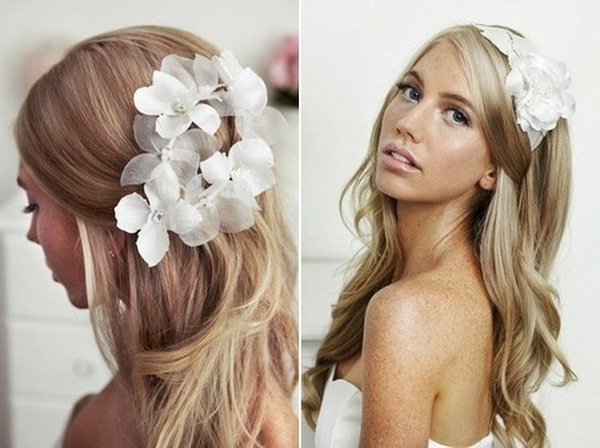 The headband with a twist Huge oversized roses look super cute when teamed with a natural ‘down’ hairstyle. Keep the hair simple with this look. The elegant bun looks simply stunning with a few escaping tendrils of hair. This is quick and easy to do. Keep it simple Pins and clips can be used to pin back the little girl’s hair. 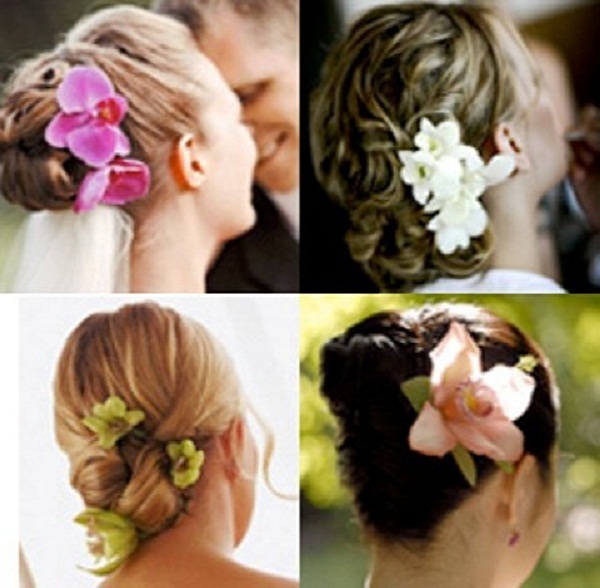 These can be in the form of flowers or even small jewels, in keeping with the bride’s hairstyle and accessories Cascading curls. 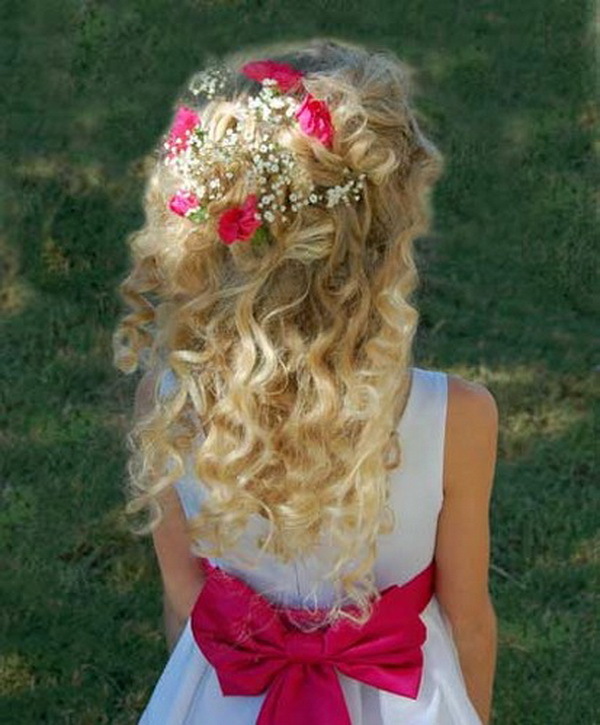 A popular flower girl hairstyle that looks simply adorable are tumbling curls. This is incredibly quick and easy to do with curling irons, no matter what length of hair. This can be as simple or as complex as you wish. 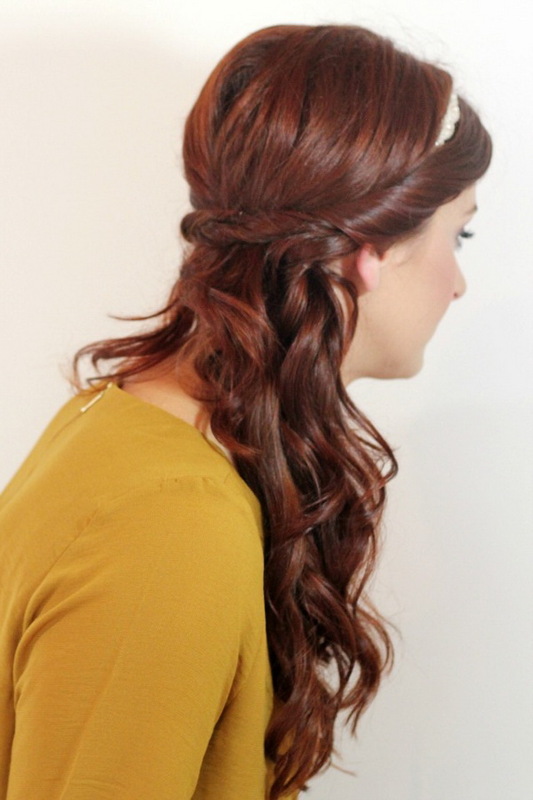 You can opt for the full French braid so as to keep hair out of the eyes, or a simple side braid. The choice is yours. The flower pony Every little girl loves wearing her hair in a simple ponytail. 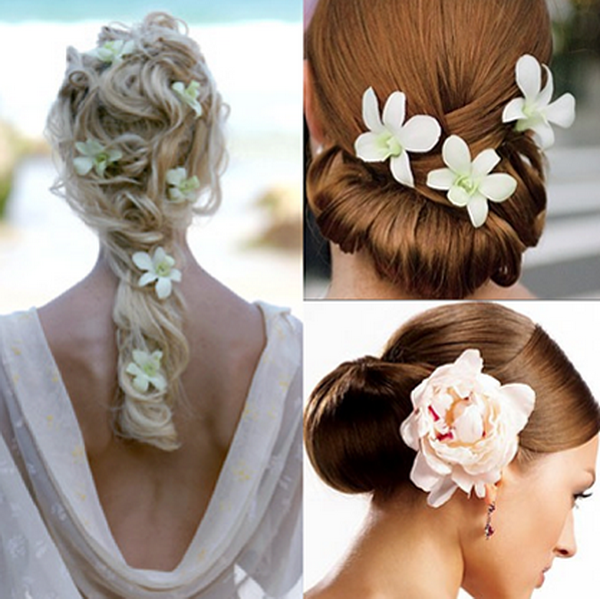 To make this hairstyle wedding friendly, simply secure some pretty flowers into the base of the ponytail. A very simple, yet effective wedding hair look. Hopefully these simple yet creative flower girl hairstyles will help to inspire you in creating the perfect flower girl look.